Messenger is messenger services which provides you to send text messages to others, make voice and video call, you can also send picture, gif, short videos, send stickers, and voice message to your friends. Messenger is provided by Facebook Owner MarkZuckBerk freely. To enjoy its services you just need to create a Facebook Account and Friends to communicate with each other. Many people don’t know we can use Messenger on to Our Computer rather than on Smartphone. 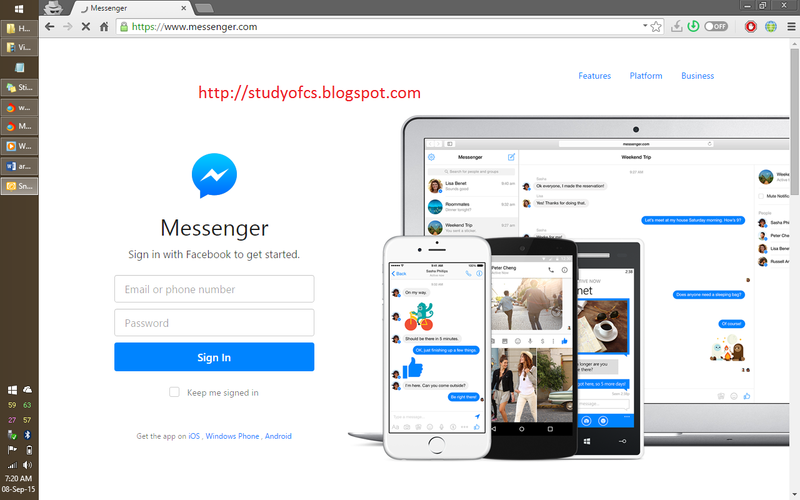 Messenger is not a just app for mobile it is also provide a web base interface to use its services.